The Bank of Canada (BoC) announced this morning it would leave the target for the overnight rate at 0.50%, where it’s been since July 2015. The target for the overnight rate is also known as the BoC’s key rate, and adjusting the key rate is the bank’s primary tool for influencing the Canadian economy. 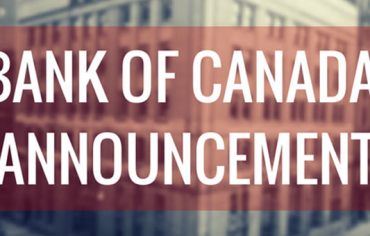 The BoC follows a fixed schedule of interest rate announcements, and has opted not to make a change today. This move (or non-move) is a sign that the Canadian economy is doing well overall, and that the rate of inflation – which the BoC’s main mandate is to control – is in line with the Bank’s target of 2%. The announcement also called attention to the complexity of the country’s reaction to the oil price shock, and warned that the consequences will continue to “dampen growth” for an indefinite length of time. Today’s decision is also a sign that the BoC doesn’t want to interfere with the performance of the Canadian dollar. The dollar hit its highest mark since July of last year just last night, closing over 78 cents US. The value of the loonie, which had been changing unpredictably for some time, has been increasing steadily since reaching a low of 68 cents in January. The BoC was expected to tread lightly today for fear of spooking the exchange rate in either direction. A rate cut would have undermined the dollar’s recent growth and caused it to drop. On the flip side a rate hike, or even an announcement that was too optimistic, could have caused the dollar to jump quickly and hurt exports. The overall tone of the announcement is things are progressing pretty much as expected. Unless you’re in the business of selling oil, or planning a vacation to the United States soon, the value of the dollar probably isn’t too important to you. More important to the average Canadian is what today’s announcement means for mortgages and other forms of borrowing. Simply put, if you have a fixed-rate mortgage nothing will change for you today. If you have a variable-rate mortgage or line of credit you can also expect the prime rate to stay the same, and you’ll likely pay the same interest rate for at least the next 6 weeks. If you’re looking for a new mortgage, the best mortgage rates are currently around 2.38% for a 5-year fixed. 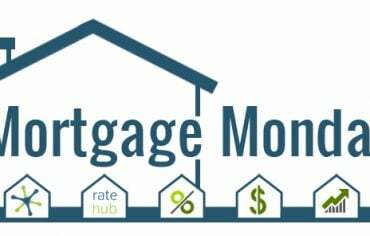 Variable mortgage rates are currently around prime minus 0.60, or 2.10% for a new mortgage. The next Bank of Canada interest rate announcement is scheduled for Wed., May 25.